Today marks three years since I last saw hubby’s daughter. I expected to feel it most at the weekend because it actually happened on a Friday evening, and the last two years I have found myself running through the events as they happened. But I guess dates can have a significant impact too because this year I didn’t feel it so much. It was there in my mind but it’s today that I finally feel some connection. As I travelled into work today I let my mind wander. I found myself remembering my therapy sessions, which revolved a lot around my step-daughter. I now realise just how far I have come since then. I have finished my degree without breaking, which I am so proud of. Back then most people – except hubby 🙂 – advised me to give it up or at least take a break. I’ve started a new, responsible job and so far I’m doing OK and enjoying it. In the last six months I’ve written an essay and got a distinction for it, passed an exam, got a merit for a course I hated, applied for and got a job, started that job and written my dissertation at the same time. Basically, I’ve carried lots of stress and come out whole and stable (albeit with renewed periodic cravings for cigarettes). But more than that, far more that that, I barely recognise myself now. I’ve come so far and today I find myself thanking God for what he has done in me. It has taken a memory of searing, devastating loss to show me how God has healed me. The blogposts back then were filled with anger, sadness and shame. I felt that she had destroyed me. I couldn’t forgive her and I hated myself. I have forgiven her and I no longer hate myself. She hurt me beyond measure and when my therapist tried to guide me through my memories of that night and others before it, I couldn’t connect. Those memories have lost their hold on me now. I no longer curl up inside, filled with self-loathing, humiliation and agony. I’ve been freed. As I write this I feel tears starting to sting my eyes and a tight throat, but also a smile. What is that? I’m looking back on a relationship lost, and not one relationship but five because I lost her children too, but I’m smiling. And I think this is joy. God has freed me not only from the shame of my step-daughter’s bullying but also from the chains that held me for so many years after the school bullies had their fun. The joy is found in the image I have in my head now of a woman turning in a circle with her arms open, looking up to the heavens, a radient smile on her face. The joy is found in the intense compassion I have for people who hurt, the compassion which makes me hurt when they hurt and drives me to love. The joy is found in knowing peace even in the sadness of losing people I love and of losing people I could have loved when I realised we would not be able to foster or adopt. The joy is found in knowing that the core of me can never be destroyed no matter how many people hurl insults at me. The joy is found in today’s realisation that I no longer believe the lies said to me. The joy is found in loving the people who surround me now. There’s a next step though, that I can see but have not yet been able to take. When God answered my prayers so powerfully the night hubby became a Christian I knew without doubt that he can answer any prayer. He can restore this broken, torn down relationship. I don’t yet have the faith to do anything about this. I’m even hesitant to say that I hope I will one day have the faith, because hoping is close to praying and praying means God will poke me until I get up and do something, risking all. I know I’ll ruminate on this all day, because joy is mingled with sadness and fear. I can see God’s presence in it all now and that’s why I thank him. He was able to take such desolation and teach me about himself through it. I’ve often learned about God most in the worst times. He can use me now in ways he never could have before I lost so much. It’s completely inexplicable and so wonderful. I’m aware that I’ve made some very bold statements in this post, and that I’ve written in the past tense. God has freed me, healed me. I’m not saying that he has finished his work in me. I still slip back into the metaphorical self-flagellation. I panic easily, worry during the nights, get dragged down by self-doubt, find it hard to show vulnerability and honesty in friendships. I forget, that’s all it is. It is so tempting to slip back, it’s easier that way. Old habits die hard, after all. But I’ll get there. That’s why today, on a day that could bind me in chains all over again, today I declare the freedom that comes from Jesus. Most of my class went to Egypt for our year abroad. I can see why, it’s better known, more people speak English, pyramids… A very small group of us decided to go to Syria. Two of us, my close friend and flatmate, decided to go a step further and live with families instead of friends – better for learning Arabic. She did the thing properly and went through the embassy to find a family who wanted to rent to a student. Me? I got on a plane, rocked up in Damascus, found a hotel and decided to wing it. My mum freaked. I had studied Arabic for two years but was virtually mute. I could have recited a pre-Islamic poem, but hail a taxi? Not so much. I did a classic Narky thing. I hid in my hotel room. I went out every now and then but panicked and hid some more. I remember noise and chaos. Yellow cars and shouting. I remember watching ‘Days of our Lives’ on repeat. I remember peering down the corridor to check the bathrooms were free. I remember men staring at me. I remember the first of many stomach upsets. Thankfully I had another friend out there who had grown up in Morocco and spoke Arabic fluently. 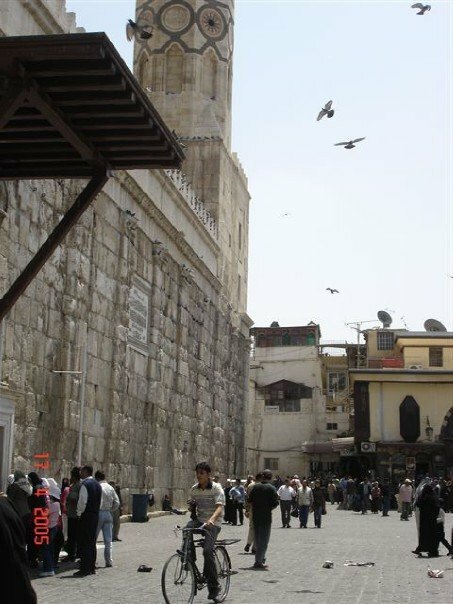 He marched me into the old city and showed me the wonders of Damascus. I fell in love instantly. I remember oranges and juice. Dark nights and talking on the streets. Smiling. We wandered around and he helped me to ask shopkeepers if they knew of anyone who wanted to rent a room to a young English woman. We found a family. They lived in an extremely old house right in the centre of old cit y Damascus, just around the corner from the Umayyad Mosque. This house had some rooms around a courtyard and more rooms upstairs. Courtyard, fountain that didn’t work, tortoise. Dust. Strong coffee in tiny cups. Five small children. More noise. More chaos. And a family who smiled at me. I remember my smile becoming somewhat fixed, and seeing the fixed smiles of my friends. Majid had shot a man, who was also a lodger, for flirting with his wife. Majid was in the army, which makes a little more sense of the whole shooting thing. This man was shot on the staircase that I was facing right at that moment. Majid was not long out of prison. So anyway, for reasons I cannot describe, I decided to stay with them. They were nice. I just didn’t tell my parents I was living with a murderer. I’ve spent a lot of this weekend feeling sad. I was drinking cocktails with two close friends on Friday night, one of whom had been my flatmate for two years at university. We also spent a year in Syria together. We spent a lot of time together and she became like a sister to me. That’s where I lived and now look what’s happening just around the corner. But I’ve forgotten so much. What I wanted to ask was that we get together and she helps to jog my memory. I ended up feeling worse. She told me about the family of five we saw on a motorbike in Jordan, waving merrily at us. She told me about when we were in one of Syria’s tiny, hot mini buses, dusty and sweaty, and we saw a mercedes drive past us, full of men in clean white dresses, looking at us through their sunglasses, air-conditioned to perfection. A friend rolled his eyes and just said with a sigh, “Saudis”. The entire bus, Syrians and English, fell about laughing. You must remember that, right? But I don’t. I had to go outside and drive my tears back. How could I forget that? It’s so Syrian. How could I forget? I’ve forgotten so much of my life, but those memories should be precious. Look what’s happening there. 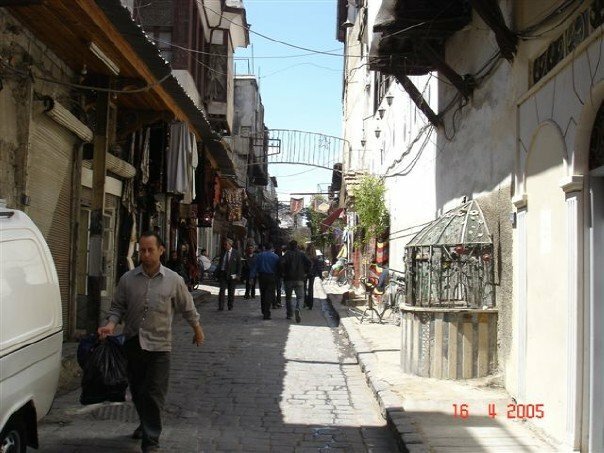 I want to write here, to show you what Syria is really like. When I went there nobody even knew where Syria was on a map. Now all they know of it is bombing and fighting and crying. No no no, that’s not all Syria is. When I went out there I took a diary with me, full of different coloured paper. I wanted to record everything, to make sure I never forgot. But you see, I was actually very lonely there. I spent a lot of time on my own. My mental health deteriorated significantly and within a few months of coming home I started taking antidepressants. So my exciting experiences were snapshots surrounded by depression, loneliness and volatility. I couldn’t bear to look at it and I burnt it. I emailed my family once a week with my experiences and apparently made them laugh hysterically with my bizarre accounts of life but they’ve gone now because people have changed email accounts so much. They’re gone, my stories are gone, my memories are gone. So how can I tell you what Syria is really like? This is a legacy of mental illness. I will have to live with the erosion of my memories for the rest of my life and that has hit me hard this weekend. I did the best thing I could have done. I called my Dad. He told me that the loss of memory does not diminish my experience of that wonderful country, the country with the most welcoming, most eccentric people in the world. 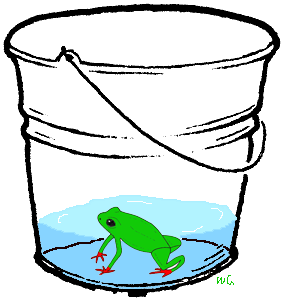 He told me to soak up what I can of my friend’s memories and hope for something to jog my own. He told me not to be sad, but to write about my Syria through the lens of mental illness, loneliness, sadness, fear. No rose-tinted glasses. The real impact of my life there, what has happened since and how my life has been forever changed. I do feel sad, it’s hard not to resent what Bipolar has done to me, not to grieve for what I’ve lost. But I’m going to do as he suggests. So if you sometimes see some fragmented blogposts, some snapshot memories, that’s just me trying to remember and trying to show you what Syria really is.